Carmines Pizza and Pasta in Lone Tree is a piece of New York City right here in Douglas County, and that’s just what owner Danny Pisarra had in mind. A dyed-in-the-wool New Yorker who trekked out west with a young family 22 years ago, he’s stayed true to his roots. Diners can see it in the décor; New York memorabilia, especially sports memorabilia, covers the walls. But the décor is only the beginning. The food is authentic and tasty, equal parts pizza place and Italian eatery, the kind of fare most east coasters would find familiar and comforting. Other favorites include the lasagna, and something called the “Brownie Overload” which features a house-made brownie topped with a mixture of vanilla ice cream, white and dark chocolate, caramel, walnuts and Oreo cookie pieces. Pizza, of course plays a starring role on the menu. For a decade, Pisarra owned and operated Mendelsons Deli in Denver, and pizza was on the menu there too. When Pisarra opened Carmines, he brought his popular pizzas with him. 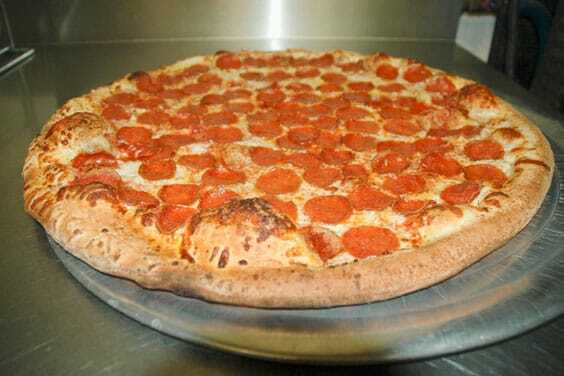 Pizzas are offered with a thin, traditional-style New York crust, as well as a thicker Sicilian-style crust. 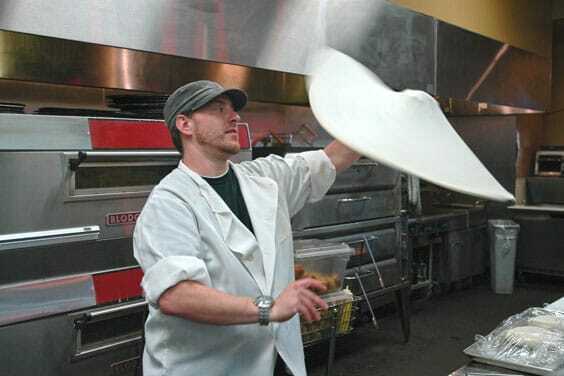 The dough, like nearly everything else on the menu, is made on the premises. Even the salad greens, which I enjoyed on a recent visit as part of the restaurant’s “Mediterranean Salad” are cleaned, chopped and mixed by hand on site. A full bar offers beer, wine, and mixed drinks; Wednesdays feature $1 house wine all day. A house favorite is the “Stiff Moon,” a mixture of Shock Top beer and orange vodka. The atmosphere is casually sophisticated, the kind of place a family could feel comfortable while still being nice enough for date night. When the weather is nice, the patio is a pleasant place to enjoy lunch or dinner, and indoors is well suited to dinner for two or dinner for a crowd. In fact, the destination is a popular place for sports teams to host end-of-season parties. 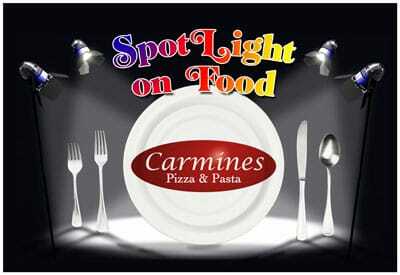 Carmines is open seven days a week and is located in Lone Tree at 9500 Heritage Hills Circle. For more information about Carmines, visit www.carminesnypizza.com. Hours: Open for lunch and dinner Monday through Saturday, dinner on Sunday. Hours vary, visit website for details. Other details: This is authentic New York Italian. Don’t miss the chicken parmesan, made from an old family recipe. The kid’s menu offers a great selection for young eaters.